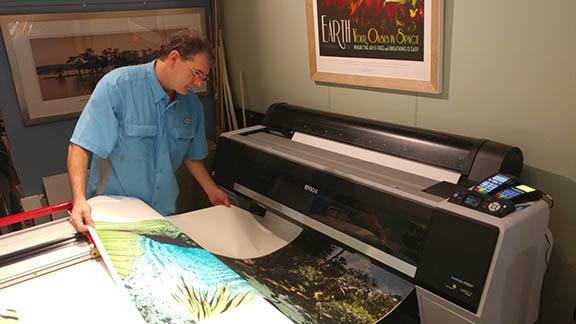 We offer fine art and printing services using our Epson P9000 printer with 10 color archival ultra chrome inks allowing us to produce the finest available prints up 44″ wide. The variety of papers and canvas the we can print on are many. While we can print on many types of surfaces ere are the standard options which are not limited to the following that we stock in house.